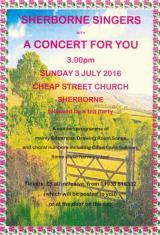 A concert programme of mainly Edwardian Drawing Room Songs and choral numbers including Gilbert and Sullivan. Some close-harmony too! 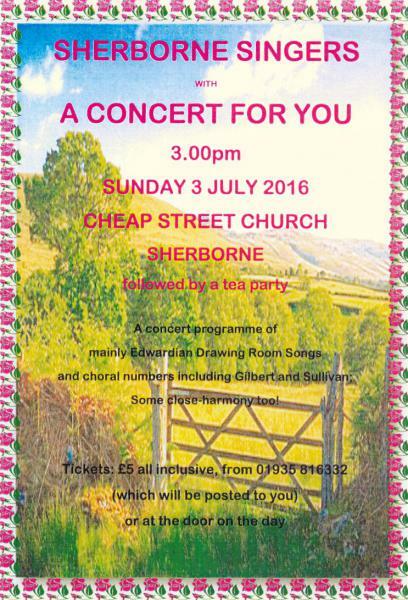 The concert will be followed by a tea party. Tickets: £5 all inclusive, from 01935 816332 01935 816332 or on the door.